The Netherlands is a minor nation in Western Europe. It borders Germany and Belgium on the continent as well as France and the United Kingdom overseas. It rules a relatively big colonial empire with colonies in South America, the Caribbean and Asia ( Dutch East Indies). Historically, the Dutch nation attempted to stay Neutral in the upcoming conflict, but Germany had decided to invade the Netherlands on the 10th of May 1940, in order to bypass the French Maginot line. Like its neighbors, the Netherlands fell to the Germans and continued as a Government in Exile in London. It engaged once more in the Asian theatre to fight off the invading Japanese from the Dutch East Indies, but failed and the Netherlands' biggest colony fell to the Japanese soon after its declaration of war against the Allies. Historically, ever since the power of the monarch had been curbed by the revision of the constitution in 1848, the Netherlands has been a democracy. However, universal suffrage was not attained until 1917. The nation had long been practising a policy of neutrality, but with the upcoming German threat it has decided to remilitarize the nation, although far too late. The Netherlands begins with five national spirits. The first is the leader Wilhemina, which grants a small bonus to stability. The second is "Shell-Shocked Spectator" of the War, granting a woeful -50% penalty to manpower. The third is Crisisjaren (years of crisis) , which grants a sharp -50% construction penalty as well as several output penalties. There are a fourth and fifth spirit that penalizes the accumulation of political capital and faction-joining capabilities. Being a conservative democratic country, the Netherlands has a (+20) relationship with other conservative Democratic countries, such as neighboring Belgium and South Africa, and a (+10) relation with all other democratic nations. The Netherlands has a slightly negative (-10) relationship with everyone else who doesn't share the same ideology. It wields a relatively big colonial empire and holds the East Indies as a puppet. The Netherlands does not have claims or cores on foreign soil. The Netherlands starts 1936 as a democracy with elections every four years, the next being in April 1937. The ruling party is the Christelijk-Historische Unie led by Dirk Jan de Geer. In the 1939 start date, the popularity of all political parties is the same as the 1936 start date. Has completed focus Legacy of the "De Zeven Provincien Mutiny"
The Netherlands can take a decision to form the United Netherlands and the European Union. 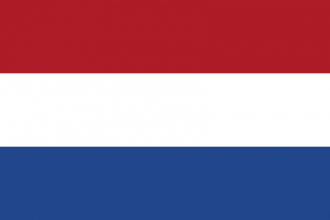 The Netherlands starts with a few factories and has access to Oil, Aluminum, and Steel. It also indirectly controls significant amounts of Rubber, Aluminum, and Oil through its Indonesian puppet. The Dutch landforce in 1936 consists of 8 divisions each consisting of 6,905 men out of 9,000 design strength. The Netherlands may also request the colonial forces from the East indies through diplomacy. The Dutch navy is relatively big, with the main contingent in Indonesia to defend the waters there. The Dutch airforce is both small and outdated. The Netherlands suffers from an acute lack of manpower due to lax conscription laws. The Royal Dutch Navy starts in 1936 with its 34 ships divided between Europe and Asia. In Europe, there are 8 submarines, 2 coastal defense ships and a destroyer. In the East Indies, there are 12 submarines, 7 destroyers, 3 light cruisers, and a coastal defense ship. No ships are being built in 1936, but the Netherlands can build Tier II submarines and cruisers, in addition to tier I destoryers. The Netherlands air forces consist of 12 inter-war fighters, based in Sulawesi which is part of their puppet in the East Indies. The first task for the Dutch is to gun for a Fascist Demagogue, so it is advised the Political Effort national focus is picked first. Democratic nations are very limited in means to become fascist, and the Netherlands should become fascist as soon as possible in order to make optimal use of this strategy. Apart from that, their main aims will be to have one general-level (24 division) command of good infantry units and to build up a decent naval force. Once the main infantry force is done, territorials should be built in vast numbers. Due to the crippling manpower limitations, it may be best to train up all divisions as colonial brigades and then convert the main 24 divisions to your primary infantry template after manpower has been improved through conscription laws and the Fascist branch of your generic National Focus tree. The Dutch navy is best of being a surface fleet intended to face off against any regional units of the Royal Navy in the Pacific to start with. Using light cruisers and battlecruisers is the optimal setup for this, preferably together with the Fleet in Being doctrines. One should be staying close enough to land to make carriers redundant. The early game goals, other than militarisation, are a swift conquest of your rebellious neighbors in Belgium (which is the first reason for having that general-level command) and Luxembourg. The former is necessary, the latter is merely a nice little production boost and achievement-catcher. Both of these conquests should be finished before WW2 kicks off so that there is less risk from faction meddling in. That way there won't be any resistance in those lands during the real event. Assisting Japan against China could also help a lot. Managing same-day declarations against both powers is quite tricky, due to the short duration of manufactured wargoals and the speed penalty on justifying a second wargoal simultaneously. Consider amassing enough political power to justify for 2-3 provinces on Belgium, then also on Luxembourg; the Belgian justification will have a speed penalty for multiple provinces and the Luxembourg justification for there already being an ongoing justification. It is possible through world tension management and luck to manage separate declarations on both without outside interference: if Japan has not forced China to capitulate (something it tends to struggle with in 1.4.x) and the Sudetenland crisis hasnt' been reached by Germany, then it may be possible to justify on both then declare on one or the other without hitting the world tension threshold needed for Britain to guarantee the second one. Territorials should be stationed in the East Indies against the borders with Britain and Australia to fight alongside the territorials the East Indian puppet there already controls. This is also where the main fleet should be as well. It should be possible to relocate your home fleet (which will be unlikely to accomplish much against the British home fleet) to the East Indies by getting military access from Italy. You can also demand control over the East Indian forces if you so desire. Garrisoning Guyana could be a boon as well, as both British and French Guyana have truckloads of aluminium, and a staging point in the Caribbean area could be very useful late war. If one has the forces for it, the former-Belgian Congo can be used to cut Africa in half, possibly leading to a happy liberation of the poor, oppressed Boers in South Africa. Either after the Benelux has been united, or when the Reich starts justifying against it (whichever comes first), the Netherlands should petition to join the Axis. Germany will be only too happy to let you in. Now there are three main invasions to focus on. If France has not extended the Maginot line, then an operation to seize Paris can be undertaken. It will be impossible for the Dutch to garrison all of France alone, though, so most of it will need to be handed over to Germany and Italy to look after. Guyana should be a walk in the park, as it shouldn't have large forces present on behalf of the other two powers, and you may be able to launch naval invasions against various Caribbean islands depending on what the Royal Navy does. Indonesia normally starts out just as easy as the other two, but to secure it properly an invasion of Australia and New Zealand will be necessary. The latter is easily doable, but the former is made surprisingly difficult by its large size and a fairly steady flow of reinforcements. The sizeable force you've stationed in the east will be required to quickly take Australia before the colonial forces get bogged down and are killed by attrition. Thanks to the low population of the Netherlands an attrition war will prove disastrous. When those areas are secured, the Dutch have a choice between Africa and India as main areas for your land troops to operate in. Their major contribution now, however, will be chipping away at the Allied naval forces, and as a resource mine for the Axis. You should be getting a large amount of civilian factories from your booming trade in such goods as aluminium and rubber, which you hold almost the entire world market of; these will help you build up a massive industrial base in record time for the endgame. Eventually, with their long maritime supply and reinforcement lines in constant danger and with key resources and supplies of manpower missing, the Allies will be driven back to the UK and mainland US. The Soviet Union, facing not only the western Axis, but also a freed-up Japan, will be doing very poorly. Now you must prepare for the final assaults and any potential WW3. Though still suffering from an amazingly low manpowerpool, thanks to the 0.02 multiplier on non-core territory, they will have disproportionately large industrial capacity. Land forces can and should be entirely mechanised, and priorities with annexation should be on having small land borders. The Dutch will be the supreme naval power, and holding almost any length of coast should be well within their ability, but you will have to try and minimise frontage with other countries, as they risk simply being unable to field enough divisions to fill every province. Given the extreme imbalance between your production and recruitable population, it may well be worth taking Desperate Defence. Siding with the Allies is the historical and most 'sensible' approach for the Netherlands given the political situation, but makes them a nice, soft and juicy target for both Germany and Japan. The Dutch will be lacking in both manpower and industrial capacity. You indirectly control plenty of rubber and other resources from Indonesia, but you can't do anything with it since both your industry and your manpower is too small. The starting navy is actually half-decent, but not a global power, so one should focus on either bothering Germany with it, or protecting the colonies against Japan. The starting army is both under-equipped and small. Without good mobilisation policies, buildup will be slow and only a small number of projects can be completed before Germany and Japan invade. This means sacrifices will have to be made just to survive. The eastern part of the Netherlands will be sacrificed to the Germans, because the open plains are practically undefendable. Forming a compact defensive line around the province of Holland instead, using the rivers and landscape to its maximum advantage, will significantly improve their chances. The Indonesian colonies can no longer be sacrificed to the Japanese by retreating all the colonial troops to the homeland because Indonesia is now a puppet and if they capitulate those forces are gone. (If you're really lucky though, Japan didn't even bother to invade Indonesia at all, which happens at times.) The entire industry should be focusing on basic infantry equipment, artillery and some small anti-tank. New military factories should be placed in Holland, or even in Guyana, just not in the territory that will fall to the nazis. The goal here is to dig in and holdout in Holland, until forces from the Allies come in to relieve the pressure. If Holland and Suriname are filled with factories, consider building forts. This is because, once again, it would only be helping the enemy to build factories in areas that can't be defended. Don't bother with an airforce. The industrial capacity should be reserved for the land force and a small nation as the Netherlands won't be able to make a big difference anyway. As The Netherlands, you control a puppet with a large manpower pool: Indonesia, also called the Dutch Indies. But their industrial capacity is weak and their division template is primitive. But there is a way to use Indonesian manpower in combination with Dutch industry. As a puppet master, you can train a division from a colonial template, which will be filled with 10% from your manpower and 90% from the puppet (less if Indonesia promotes to a colony). But you can also duplicate this template and edit it, and it will still draw 90% manpower from your puppet. So add some more infantry, some artillery, maybe even a bit of armour to the duplicated template. To gain the required army experience, you will need to hire a military theorist early, or exercise your divisions a lot. With this strategy, you can field a 750 000 man army and stop the German attack right at the border instead of sacrificing 2/3 of the country. This page was last edited on 18 April 2019, at 02:41.